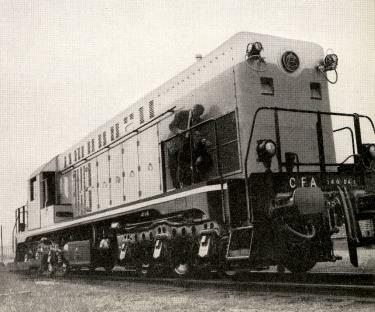 The Baldwin Diesel Zone - "Baldwin 1500 hp Diesel for French North Africa"
of the locomotive with the boiler compartment. stand accordingly located on that side of the cab. tric heaters all contribute to safety and comfort. and side hood louvres permit ample ventilation. engine heads and valve actuating mechanism. jacket water and lubricating oil at full load. mit the engine to operate at correct temperature. 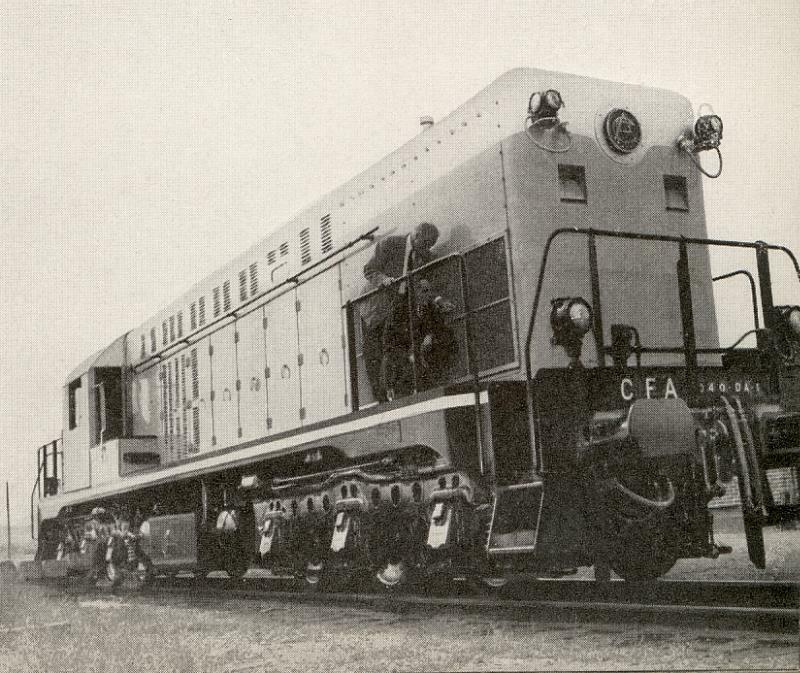 twin buffer type are placed. ment is provided for all belts. 8 cylinder-in-line, supercharged diesel engine. velop their 1,500 rated horsepower at 625 rpm. current supplied by the storage batteries. with an extension to support the main generator. are provided with rubber sealing rings. made of heat-treated aluminum alloy castings. Kelly make a close inspection of the locomotive.